It’s Monday! Time for another Atlantic Hearts Sketch Challenge!! I actually created two cards for this sketch. My first card was so loosely based on the sketch I didn’t feel it warranted being posted as my design team example, but I’ve included it in my blog post. I started by rotating the sketch (found at the bottom of my post) clockwise and used wider strips of paper. Using a white cardstock panel I then added a little mixed media using gelatos. The strips of patterned paper are from the CTMH Paper Fundamentals Collections along with a piece of Silver Shimmer Trim. The patterns on these particular papers are retired but there is a whole new collection available. Once I had all the pieces aligned the way I wanted I ran a few rows of stitching through the panels. For the sentiment I used The Small Talk cut file from The Cut Shoppe Etsy Store and cut the same “Hey” sentiment in multiple layers including vellum. I used pop dots on the sentiment to add dimension and then added a few Clear Sparkles. 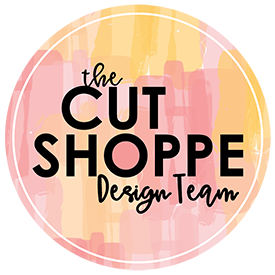 In addition to AHSC, I’m also linking this card to the November Cut It Up Challenge on The Cut Shoppe Blog. 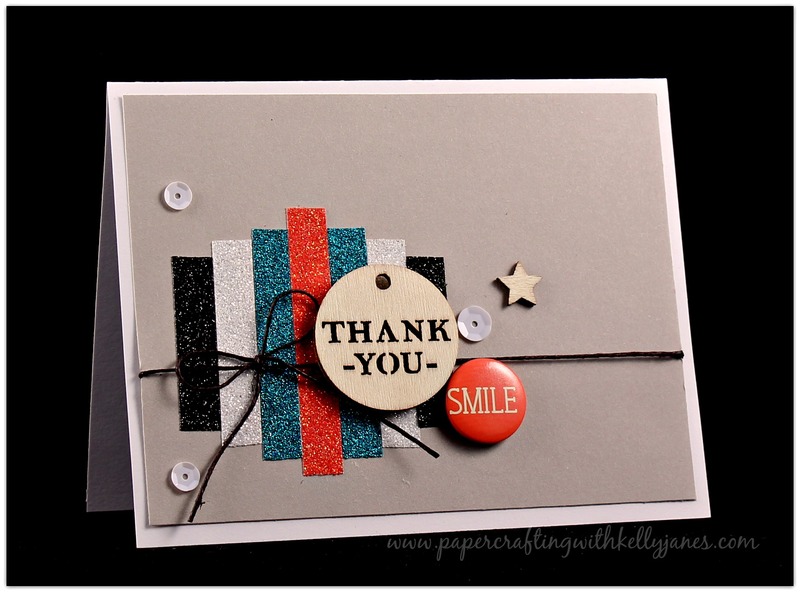 For my second card (my design team sample) I used a white card base followed by a layer of Whisper Cardstock. Then I added a row of multiple Shimmer Trims, a black hemp bow, a couple wood veneer accents, a few white sequins and a flair button from a retired CTMH collection. This card is more of a direct interpretation of Sketch #136. Now head over to Atlantic Hearts Sketch Challenge and enter your interpretation of this sketch!